This is a review of the binary options broker BinaryCent. Much has been said about whether this broker is legit or a scam online. Of course that’s something you’ll want to know before making a deposit. However with this firm you can start trading with a deposit as low as just $10. Additionally you can place a trade for just 10 cents. With terms like these you don’t even need to test them out first with a demo account. BInaryCent claim to offer the best trading conditions in the whole market and a trading app which allows you to trade on the go. Let’s discover more. BinaryCent is owned by Finance Group Corporation, and commenced operations in 2016. It was a winner of Tech Journal Award of 2016 for Best Upcoming Broker. Presently, BinaryCent is not under regulation, but is working to secure regulation and licensing in at least two jurisdictions. The following assets can be traded on BinaryCent. Indices: DOW (US), S&P 500 (US), NASDAQ (US), DAX (GERMANY), CAC (FRANCE), FTSE 100 (UK), ISE 30 (ISTANBUL STOCK EXCHANGE), RTS (RUSSIAN TRADING SYTEM), MSM 30 (OMAN), TADAWUL (SAUDI STOCK EXCHANGE), DUBAI (DUBAI FINANCIAL MARKET GENERAL INDEX), KUWAIT (KUWAIT GENERAL INDEX), BOMBAY SE, HANG SENG (HONG KONG), SSE180 (SHANGHAI STOCK EXCHANGE), KL FUTURE, NIKKEI225（JPN), TEL AVIV 25, TOPIX, MICEX 10 (MOSCOW INTERBANK EXCHANGE), ASX, IBEX, FTSE F-DEC16, ASX F-DEC16, NIFTY F-SEP16, SMI, FAZ-SHORT BANKS(ETF). BinaryCent traders who make a deposit for the first time are entitled to bonuses on their deposits. These are provided as a percentage of the initial deposit amount, and range from 20% to 100%. Typically traders with deposits less than $500 are entitled to a bonus of between 20% and 50%, while deposits of more than $500 are entitled to a 100% bonus. Bonuses are provided subject to terms and conditions. A famous condition is the trade turnover condition, which stipulates that the trader must generate a trade turnover which is 50 times the bonus amount before any withdrawal can be made. BinaryCent users can also get a bonus by participating in trading contests, where a total of $2,000 is shared among 20 winners. The prize is usually paid into the trader’s live account where it can only be used as a trading bonus, subject to terms and conditions before it can be withdrawn. Only the top 4 winners are exempt from this, and are free to withdraw their winnings as cash. Physical gifts such as iPhones are also given out. The BinaryCent trading app is available for download on the Google Play store (Android devices) as well as the Apple Store. However, Apple has recently discontinued its app store support for mobile apps of binary options brokers, so the app for iOS devices may be taken down soon. Credit/debit cards: Cards issued by VISA, MasterCard, American Express, JCB and China UnionPay are accepted on the BinaryCent platform. Deposit transactions are usually concluded instantly, but withdrawals may take up to 6 hours to conclude. No fees are charged, except for transactions done with VISA where a 5% transfer fee is applied. Bank wires: Traders can use the bank transfer system to move funds. The advantage here is that an unlimited amount of funds can be deposited and withdrawn with this method. However, this is the slowest method of transaction. Digital Wallets: Several digital wallets are offered on the BinaryCent platform. These include both international wallets and country-specific digital wallets. Internationally accepted digital wallets include Skrill, Neteller, PerfectMoney, WebMoney, OKPay and AliPay. Country-specific wallets include Yandex Money and Qiwi, which serve Eastern Europe. The processing time for deposits and withdrawals with digital wallets is usually one hour. Some deposits are processed instantly. Other methods: The other method of transaction, which is also the newest transaction method is the cryptocurrency known as Bitcoin. Bitcoin deposits and withdrawals usually take some hours to conclude, as all transactions have to be confirmed on the Blockchain. Transactions are handled efficiently by the BinaryCent team. However, bank wires tend to take a longer time to conclude. Phone: A multi-lingual phone support service is available using the following numbers. There is also an online contact form. Generally speaking, BinaryCent does not have a very good customer support system and this area needs to be vastly improved upon. For new traders, the first three trades are risk-free. This is a system which provides cashback for the first three trades if they end up as losing trades. Traders can start live trading for just 10 cents, providing a risk-free way of engaging the live trading environment for the first time. Minimum deposits start from $10. BinaryCent is an emerging binary options broker which is ok in some areas but needs to work on other areas of their operation. One area that needs tweaking is the customer support desk which offers no phone or live chat support. If changes are made, BinaryCent will occupy a great spot in the marketplace. Generally speaking, the processing times for deposits and withdrawals are a bit above average. Traders can trade a few commodity futures as well as currency futures on weekends. 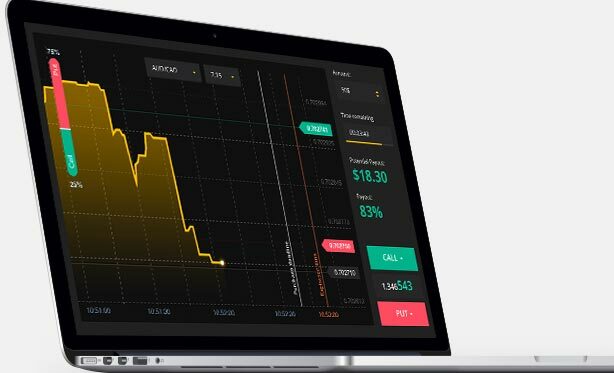 The availability of several means of depositing and withdrawing funds ensures that traders will not have issues trading binary options no matter what part of the world they are located. Availability of email support in several languages is a great advantage, as it provides traders from multiple linguistic backgrounds the opportunity to engage with the BinaryCent team. The area of concern for BinaryCent users is the customer support system. This needs to be vastly improved by addition of phone support as well as live chat facilities. How can I deposit or withdraw funds on BinaryCent? You can deposit or withdraw funds on BinaryCent using several means of transaction. Several credit/debit cards, digital wallets and bank transfer options can be used. Are there any scam reports about BinaryCent? There are presently no scam reports about BinaryCent. However, traders are advised to always monitor their binary options brokers to ensure that they get the best deal and that trade conditions are made as transparent as possible. It is possible to deposit funds on BinaryCent using Bitcoin. Can I trade Bitcoin on BinaryCent? Bitcoin can be traded on BinaryCent as the BTC/USD and BTC/CNY pairing. This pairs Bitcoin against the US Dollars and the Chinese Yuan Remnimbi. Does BinaryCent provide bonuses for its traders? All traders on BinaryCent are entitled to deposit bonuses from 20% to 100% of their account deposit. The amount of deposit awarded depends on the deposit amount, with larger deposits getting bigger bonuses. Bonuses are also awarded from prize winnings of the BinaryCent trade contests. Why are the first three trades on BinaryCent referred to as “risk-free” trades? In order to encourage new traders, BinaryCent returns all capital that is staked and lost in the first three trades.